BD Micro-FineTM+ pen needles are compatible with all leading reusable and disposable insulin pens. 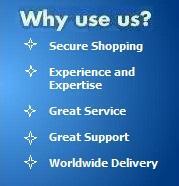 The preferred choice of injection device. 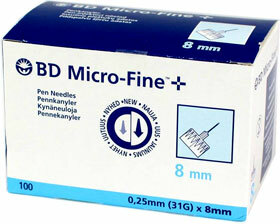 BD Micro-FineTM+ pen needles incorporate thin wall technology. +23% wider inner bore no change in the outer diameter reduced force required to push the plunger improved insulin flow rate for faster injections. Facilitates pen injection for people with dexterity problems.